AllThingsD claims that, while Apple didn't talk about the Apple TV during its 10 September event, an update for the product is set to roll out alongside iOS 7's release on 18 September. That's according to "people familiar with the matter," who say one of the new features in the Apple TV software will be a tweak to AirPlay. Users will be able to play content that they've purchased from the iTunes Store on other people's Apple TVs using the new AirPlay feature, says AllThingsD. Following the reports of the imminent Apple TV software update, a tweet from MG Siegler has sparked new speculation that Apple will also unveil a new Apple TV hardware product next month. "I guess those excited about a software refresh in a week are gonna be really excited when new Apple TV hardware is unveiled next month," Siegler tweeted. 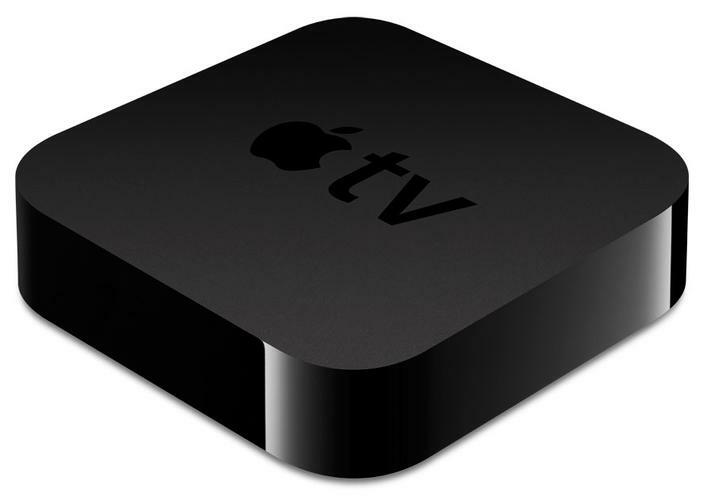 It's not yet known what new features that new hardware update could bring to the Apple TV, but numerous reports have previously suggested that Apple is working on a set-top box and that the company is going straight to content providers in order to provide a new on-demand service. There has been speculation that Apple is working on a fully-fledged television set, dubbed iTV, but those rumours have been circulating since as far back as 2009 and we've yet to see such product from the company. However, according to Walter Isaacson's autobiography of the late Apple co-founder, Steve Jobs once revealed that he had "cracked" the television.